Do 529 plans hurt the chances of receiving financial aid? Get the facts. 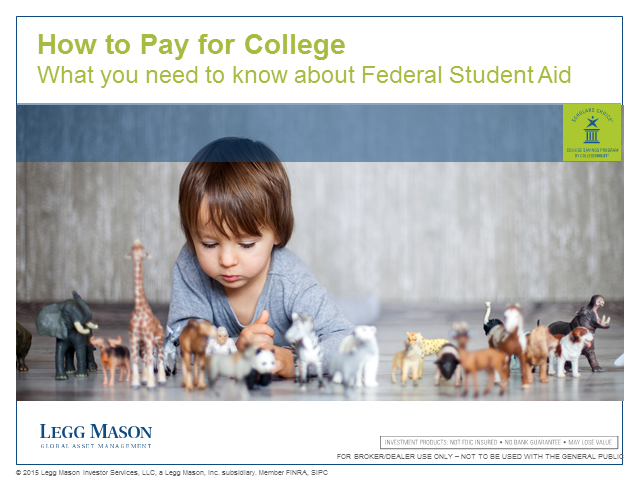 How will your clients pay for college? Increasingly, families are looking to their trusted Financial Professional to assist them in developing a complete college funding strategy. - Can 529s solve the problem, alone? - What new approaches are colleges offering to students? - How can federal dollars be spent more effectively?